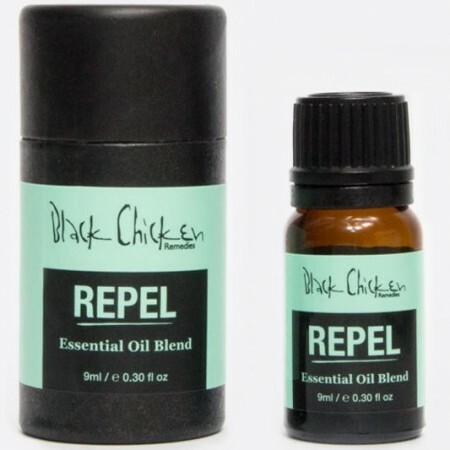 This Essential Oil Blend repels insects and pests, and keeps you calm at the same time. Black Chicken Remedies aromatherapy oil aims to help the wellbeing and health of your body and mind. 9ml. Lemongrass - forms a bug barrier and creates calm for you. 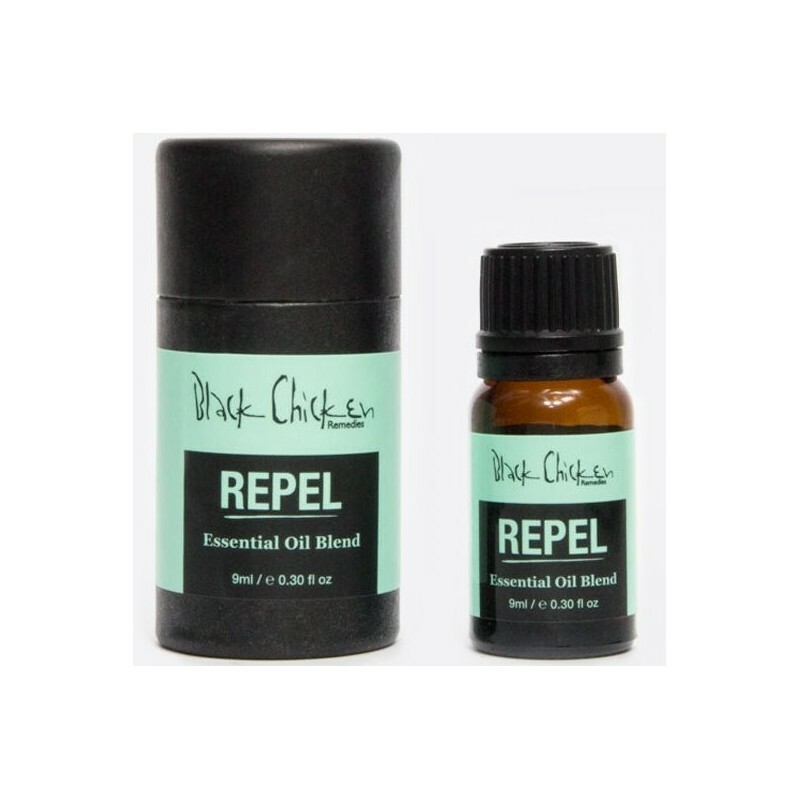 Citronella - repels insects and your stress. Peppermint - natural insect deterrent. Tea Tree - reduces fatigue, and is toxic to insects and bugs. Catnip - effective at repelling insects. Cedarwood - repells ants, fleas and ticks. Nepeta Cataria (Catnip essential oil), Cedrus Atlantica (Cedarwood essential oil), Cymbopogon Flexuosus (Lemongrass essential oil), Cymbopogon Winterianus Jowitt (Citronella essential oil), Mentha Piperita (Peppermint essential oil), Melaleuca Alternifolia (Tea Tree essential oil).